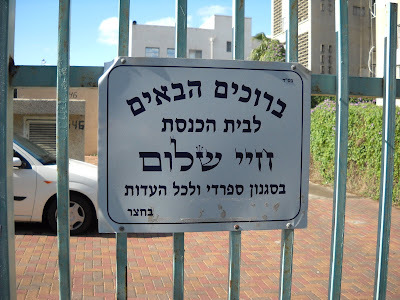 If you follow my blogging, I have had a few on the Torat HaMelech business as well as the Kfar Yassuf mosque torching incident. I denounced and condemned the violence that was perpetrated and criticized the book but, true to my education in liberalism's values, I suggested that not all you read is true about arrests and investigations. I pointedly mentioned ADL's Abe Foxman's tirade as baseless and prejudiced. The Petah Tikva Magistrate's Court on Sunday released to house arrest the final two suspects who were being held by police for their alleged involvement in the torching of a West Bank mosque in December. Tzvi Sukkot and Shlomo Gelberd - both residents of West Bank settlements - were arrested more than two weeks ago along with five other suspects - four of them teenagers. The other suspects were released from custody shortly after their arrest. ...The court had last week extended both of their remand citing evidence tying the two men to the incident beyond a reasonable doubt...Both Sukkot and Gelberd denied the allegations against them...During the hearing on Sunday, police showed the court covert reports on each of the two men which allegedly tied them to the arson, but the suspects continued to deny the allegations against them. The court finally ruled that the evidence was not sufficient to extend their remand for a fourth time. The defense attorney said he would appeal against his client's house arrest. "It's time that the relevant parties do some soul-searching about how they handled this investigation on this case, and the unnecessary arrests." Member of Knesset Michael Ben-Ari (National Union) attacked the police, the Shabak Israel Security Agency [GSS] and the court system on Sunday for their conduct in arresting suspects in the December 11th vandalism of a mosque in the Samarian Arab village of Kafr Yasouf. Responding to the release of two more suspects to house arrest, Dr. Ben-Ari called for "self examination by the Jewish Unit of the Shabak which specifies targets and crosses red lines." He added, "The time has come for the court system to protect persecuted, innocent citizens and not to dance to the tune of the Shabak." HH = Haveil Havalim, the collection of Jewish blog posts. Israel Situation has it up. Human Right's Watch relies in its reports on Hamas operatives and fellow travelers who gather "evidence" and "testimony", all of which is tainted in that it is not independent nor impartial. It then packages all of that it into reports which accuse and pillory Israel of war crimes and other supposed violations of human rights. These report form the basis of the HRW lobbying effort of Richard Goldstone, who himself is a former HRW board member, that he include this evidence in his Report, a magnum opus. On the basis of that Report, HRW then demands that courts and other international bodies take action on what is re-packaged HRW reporting, and then promotes the independence of these courts. Maybe our Sheikh Jarrah protestors are needed in Surrey? Sir Cliff Richard has been ordered to pull down a £30,000 conservatory at his Surrey mansion after losing a long battle with planning officials. The singer failed to seek planning permission for the 17ft-long extension in 2006. Runnymede Council last year told him he had breached planning rules. Now they have dismissed his appeal against their decision. He has until March 9 to remove the structure. 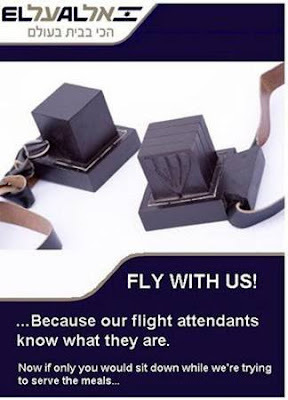 But who will pay for their flight? Can you imagine spelling it "settler"? (b) where it is not the case, as if the trustees fulfilled the condition as to residence in the year 1999-00.
treated as accruing to those trustees on 6th April 1999 by virtue of sub-paragraph (2)(a) above. (4) The gains and losses that are relevant gains or relevant losses for the purposes of this paragraph are those which (apart from this paragraph) accrue to the trustees of a settlement to which this paragraph applies in any year of assessment in which those trustees fulfil the condition as to residence. (g) the gain or loss in question is not one treated under paragraph 1 above as accruing on 6th April 1999 to the trustees of the transferor settlement. (b) so accrued on the disposal by those trustees of any asset that was property originating from the chargeable settlor. Dr. Phyllis Starkey (Milton Keynes, South-West) (Lab): This debate relates to the information given to Her Majesty's Revenue and Customs by those exporting goods from Israel and Israeli settlements to the United Kingdom and the effectiveness or, as I shall demonstrate, the ineffectiveness of HMRC checks in preventing fraud. Under the EU-Israel trade agreement, produce from Israel enters the UK and other EU member states under a preferential agreement that exempts it from import duties. The agreement only applies to Israeli territory that is within its internationally recognised borders, and that has recently been reaffirmed in a legal ruling from the European Court of Justice. The Israeli authorities have long had a cavalier attitude to compliance with the agreement...Israel has also unilaterally interpreted the agreement as applying not just to Israel but to the numerous settlements in East Jerusalem and the west bank, even though they are illegal under international law. Settlement produce has been routinely labelled "Made in Israel" and thereby exemption has been claimed from import duty. Not only is that defrauding the EU taxpayer by avoiding legitimate import duty, but it sets a dangerous precedent that could allow other countries unilaterally to reinterpret their agreements with the EU...it is clear that these checks are not working and that goods from settlements are still being misrepresented as originating in Israel. ...The Exchequer Secretary to the Treasury (Sarah McCarthy-Fry): Her Majesty's Revenue and Customs is sensitive of the need to ensure that settlements products do not receive preferential tariff treatment incorrectly. Over the past eight years, it has been monitoring UK imports under the agreement and taking steps to identify consignments that have been mis-declared. Of course, the Department is always happy to receive information to aid its targeting, and to listen to suggestions for ways in which controls and checks in this sensitive area may be improved. I am therefore grateful to my hon. Friend the Member for Milton Keynes, South-West (Dr. Starkey) for highlighting a number of areas that merit further consideration. ...My hon. Friend may be interested to know that each year, Revenue and Customs checks around 3,000 import declarations on which a preferential rate of duty has been claimed. Those checks result in around 370 verification inquiries, covering some 2,400 proofs of preferential origin. The monitoring of Israeli imports is an important part of those overall checks. In June 2008, Revenue and Customs received information that suggested that the fact that an Israeli place of production and postcode is included on the proof of preferential origin does not necessarily mean that the products concerned-notably fresh fruit, vegetables and herbs-originated in Israel. There were concerns that the location and code may simply refer to a company's head office or distribution centre in the state, the produce concerned having actually been grown or produced on a farm in a settlement. Such concerns were repeated in various press articles and television news stories, which also raised concerns about the labelling by UK supermarkets of fresh produce, such as herbs and avocado pears, which some had admitted to purchasing from Israeli-managed farms in the settlements. While the correct labelling of products after importation is not the responsibility of Revenue and Customs, it recognised that it is not possible to establish from documentary checks alone whether produce is labelled as originating in a place other than an Israeli location. There is no blanket legal requirement for the place of production to be inserted on all produce or its packaging. In the absence of such a marking, as was the case in a number of the examinations undertaken to date, there is little that customs can do when the accompanying proof of preferential origin shows that the produce was produced in an Israeli location. Similarly, the Department does not have sufficient evidence to the effect that the goods were not produced in Israel where "produce of Israel" has been inserted on the product or its packaging. Most of the products that have been examined to date bore such an origin marking. With the voluntary labelling guidelines that Revenue and Customs contributed to DEFRA's issuance of its guidelines, we are hopeful that those UK supermarkets that decide to implement the voluntary arrangement will persuade their suppliers to display clearly the place of production on their products or their packaging. That could have a useful knock-on effect in helping Revenue and Customs with its series of targeted physical examinations. In the meantime, we will extend our series of targeted examinations to include peppers, halva and tahini. However, new civil penalty provisions came into force on 24 December 2009, as a result of which Revenue and Customs can issue a financial penalty where an importer persistently claims preference on products that are not entitled to such treatment, which will be in addition to the liability to pay the full rate of customs duty. Although legal constraints mean that the Department has no alternative other than to initiate verification inquiries with the Israeli customs authorities, it is happy to make improvements to its risk assessment and to include further fresh produce in its series of targeted physical examinations. We will also pay further attention to imports of particular products, such as cosmetics, which were mentioned by my hon. Friend. We will explore with supermarkets the possibility and feasibility of using their tracking systems post-importation to identify imports of goods that were not entitled to the preference claimed. We will continue to work closely with the European Commission and other Government Departments with the objective of ensuring compliance with the rules in this complex and sensitive area. That will include pressing the Commission to monitor the operation of the 2005 technical arrangement even more closely. ...She was interested in Jews but had no idea about them, save that Jewish men (she had heard) were more likely than the men of her own class and background to treat women decently. She was happy to take Jews to be hostile to everything to which she herself was hostile. She once said to me that she should never have married into a German family. ...As a Jew I was an “outsider”, not “Establishment”, and this confirmed Diana’s own “outsider” status. I was also an “intellectual”, a contrast to the unacademic Diana. My background was middle-middle-class, a contrastwith Prince Charles’s lawyer, Fiona Shackleton, a partner at the royal family’s law firm. The profiles tended to be uncertain how to assess the significance of my Jewish identity, save that they all took it to be of immense significance. I also started receiving odd letters during this time. Some gave me advice, some chastised me for disrespect towards the monarchy and some were anti-Semitic. It was all rather bemusing, but nothing more than an intermittent, minor distraction from the negotiations themselves. The piece in the Saturday July 13, 1996 edition of The Daily Telegraph was of an entirely different order...“Unfortunately, her softly-softly approach is at odds with the more bullish attitude of the princess’s solicitor. Anthony ‘Genius’ Julius, 39, is not a divorce lawyer but a specialist in media law, acting for Robert Maxwell and once employed by the Daily Mail. “His background could not be further from the upper-class world inhabited by his opposite number. He is a Jewish intellectual and Labour supporter and less likely to feel restrained by considerations of fair play...The author went on to speculate about whether I had secured a good settlement for the princess. ...The next day, at the foot of another story about the royal divorce, the following item appeared: “Our royal divorce coverage last Saturday...Intended to compare and contrast their styles, but without in any way seeking to question his professional integrity, we referred to Mr Julius’s background as a Jewish intellectual in a context which we now recognise, to our profound regret, to have appeared pejorative. In a recent BAR article (January/February 1986), Israel Finkelstein, the director of the important new excavations at Shiloh, reported to BAR readers the exciting results of his efforts. The title of the article, “Shiloh Yields Some, But Not All, of Its Secrets,” BAR 12:01, accurately describes the contents. The added blurb, “Location of Tabernacle Still Uncertain,” indicates that the last word has not yet been said regarding this intriguing question. ...The Tent of Meeting was the portable structure erected by Moses after the Exodus from Egypt (Exodus 40:17ff.) in fulfillment of the Biblical injunction: “And let them make Me a Temple and I shall dwell among them” (Exodus 25:8). Its central feature was the Mishkan (usually translated Tabernacle). The Mishkan consisted of two covered chambers. The first was the Holy of Holies (Hebrew, Kodesh Ha-Kodashim), measuring 10 cubits by 10 cubits. Separated from the Holy of Holies by the “Veil” (Hebrew, Parochet), on its eastern side, was the second chamber of the Mishkan, the Holy Place (Hebrew, Kodesh), a rectangle 20 cubits long and 10 cubits wide (Exodus 26). The Ark of the Covenant, containing the two stone tablets of the Law given to Moses on Mt. Sinai, was placed in the Holy of Holies (Exodus 26:34). The Tabernacle was set in an open rectangular court together with the Altar of Sacrifice on the east and the Laver (Exodus 40). The terminology can be a little confusing because sometimes the Tabernacle is named the Tent of Meeting (as, for example, in Exodus 40:7). I shall call the whole structure, including the surrounding court, the Tent of Meeting (as in Exodus 33:7). The Tent of Meeting was the prototype of the First and Second Temples in Jerusalem, especially the former. The Tent of Meeting remained at Shiloh until the Philistines destroyed the city about 1050 B.C., after the famous battle of Eben-Ezer.a When the battle was going badly for the Israelites, the Ark of the Covenant was taken from the Tent of Meeting and brought to them, but to no avail. The Philistines won the battle, captured the Ark, and then marched on Shiloh, ultimately destroying the Tabernacle there (1 Samuel 4; Jeremiah 7:12–14, 26:6, 26:9; Psalms 78:60). Until that defeat, for many years, Shiloh had served as the religious center of the Israelite tribal confederation. Here the tribal territories were allotted (Joshua 18:10); here the people gathered in times of distress (Joshua 22:12); here they celebrated their annual religious pilgrimage (Judges 21:19–21; 1 Samuel 1). ...I believe Wilson’s location and the arguments—both new and old—in support of it deserve a more extended treatment than Finkelstein has given it, for there is much to be said in its favor. “The area south of the mound, … seems a much more likely spot for an open-air sanctuary around a Tabernacle; … Nonetheless, it is not impossible that the sanctuary stood inside the city proper.” Obviously no definitive answer to the question is possible at this time. So we must deal in likelihoods and probabilities. ...All in all the Temple at Shiloh, including the Mishkan (Tabernacle) enclosed in a courtyard with a wall, was a rectangle a few feet more than 140 feet long and a few feet more than 70 feet wide—say 145 feet by 75 feet. The site just north of the tell on which Wilson placed the Tabernacle allows for a complex of this size. Wilson located the Temple complex on a flat, hewn rock terrace north of the tell that is about 50 feet lower than the summit...There are several other factors that tend to support Wilson’s identification of the site. As can be seen from the topographical map in the sidebar, Wilson’s site is protected by steep slopes on all sides, except on the south, the side facing the tell. Even today, the sole approach by road to the tell—and to the site Wilson proposed for the Tabernacle compound—is from the south. Finkelstein’s excavations confirm that the town of Shiloh lay on the tell, south of Wilson’s site. This location would provide further security to the sacred place to the north, if indeed it was located on Wilson’s site. When combined with the site’s natural defenses created by the steep fall-off on the north, east, and west, offering ready-made protection from a potential enemy, the site becomes particularly attractive from a strictly topological viewpoint. A location north of the city for the Temple compound may even be indicated in the Biblical text itself. A young friend of mine, Dr. Samuel Gillis, originally made this suggestion to me. When the Israelites were losing the battle of Eben-Ezer, they sent to Shiloh for the Ark of the Covenant to be carried in battle against the Philistines. Even this failed to turn the tide, and the Philistines captured the Ark. The Philistines also slew the two sons of Eli, the high priest at the Shiloh Temple. A man from the tribe of Benjamin was then sent from the battlefield to Shiloh to report the tragic events. A careful reading of the text seems to indicate that the messenger had to pass through the town before reaching Eli and the Temple. Since the only entrance to the town, then as now, was no doubt from the south, this indicates that the Temple compound was just north of the city—precisely where Wilson’s site is located. the chair by the way-side waiting,6 because his heart trembled for the Ark of God; and the man came to tell [about the defeat, the fate of the Ark and the death of Eli’s sons] in the town, and the whole town cried out. And Eli heard the sound of the shouting, and said ‘What [is the meaning of] the sound of this tumult?’ And the man hastened, and came and told Eli” (1 Samuel 4:12–14). ...Finally, the Jerusalem Talmud (Megillah, chapter 1, Halakhah 12) refers to two distinct places—Shiloh (presumably the town), and the Tabernacle (Mishkan) of Shiloh. Although this text is nearly 1,500 years later than the event, it may well preserve an accurate historical memory that the Tabernacle was located apart from the settlement. ...The final question is whether any further research can be undertaken to determine whether Wilson’s site may still bear traces of the Temple compound that once stood there—if it did. I believe the answer is yes. The same method I have used for the Temple of Jerusalem should be tried. Aerial and ground surveys of the rock cuttings on Wilson’s site on a scale of 1:100 should be made to determine their alignment and dimensions. Are they aligned on an east-west (and perpendicular) axis, indicating that a wall or building was once aligned on this same axis? Are their dimensions fractions or multiples of the cubit used in the Settlement period? Further excavation in Wilson’s site (Yeivin’s excavations here were only trial squares) might also help to piece together this jigsaw puzzle. All it takes is time and money. a. Eben-Ezer has been identified as Izbet Sartah, see “An Israelite Village from the Days of the Judges,” BAR 04:03. But see J. Maxwell Miller, “Biblical Maps—How Reliable Are They?” Bible Review, Winter 1987.
b. The Archaeology of the Israelite Settlement (Jerusalem: The Israel Exploration Society, 1988). c. The medium cubit in the Land of Israel was divided into six handbreadths. Over a period of many years, scholars and explorers have offered values of its length ranging from 16 inches (40.6 centimeters) to 26 inches (66 centimeters). According to Mishnah Kélim 17:9, three different standards of length were assigned to the medium cubit. There is a precise correlation between the determination of these lengths from archaeological finds in the Temple area of Jerusalem and the literary evidence. The respective standards are: the cubit of Moses and of the First Temple, 16.9 inches (42.8 centimeters); the small cubit used exclusively in the construction of the Second Temple, 17.2 inches (43.7 centimeters); and the large cubit, or the normal standard, 17.6 inches (44.6 or 44.7 centimeters). The terminology of the standards—the words in italics—is that used in Kélim 17:9. The value for the large cubit fits many archaeological data of the Holy Land. d. The Mishnah is a concise collection of laws, regulations and customs governing religious practices during the latter part of the Second Temple period and subsequently after the destruction of the Temple. e. Asher S. Kaufman, “Where the Ancient Temple of Jerusalem Stood,” BAR 09:02. 1. Kaftor Waferach [כפתור ופרח] (translated Calyx and Petal—see Exodus 25:33) by Happatchi, completed in 1322. This is my translation of the Hebrew text as it appears on page 47 in the second printed edition of the book edited by Hirsch Edelmann (Berlin, 1852). As far as I know, there is no English translation of the book. 2. 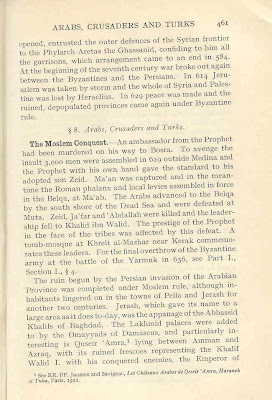 Charles W. Wilson, “Jerusalem,” Palestine Exploration Fund Quarterly Statement (London, 1873), p. 38. 3. Hans Kjaer, “Shiloh. 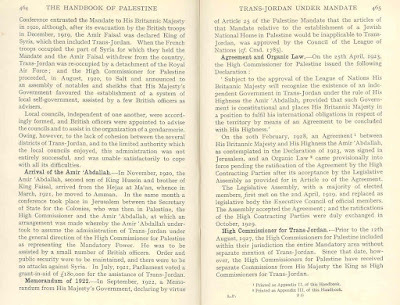 A Summary Report of the Second Danish Expedition, 1929,” Palestine Exploration Fund Quarterly Statement (1931), pp. 71–88. 4. Michael Avi-Yonah, s.v., Encyclopaedia Judaica (Jerusalem: Keter, 1971), vol. 14, col. 1402. 5. I am most grateful to Dr. Ze’ev Yeivin for putting at my disposal large-scale maps of Wilson’s court. 6. It is generally agreed that the Hebrew text (three words) relating to “by the way-side waiting” is difficult to comprehend. I humbly believe that the translation here fits the context. It does not differ substantially from the New Jewish Publication Society translation (“waiting beside the road”). See here as well and also here. Last month I noted a novel, I had previously been unknown to me, "O Jerusalem" by Laurie R. King. I managed to obtain it through the good services of a dear friend and have finished it. 1. On page 86, the author writes that Beer Sheba was the "southernmost town of the ancient Israelites". 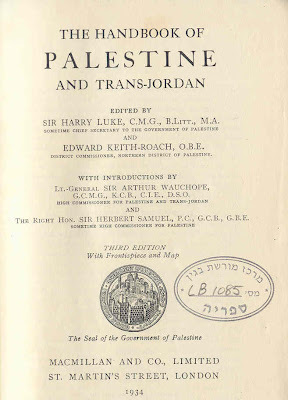 ...North Palestine must include the Litani River watersheds, and the Hermon on the east ... Less than this would produce mutilation of the promised home" (unpublished telegram, 16 February 1920, Zionist Archives). 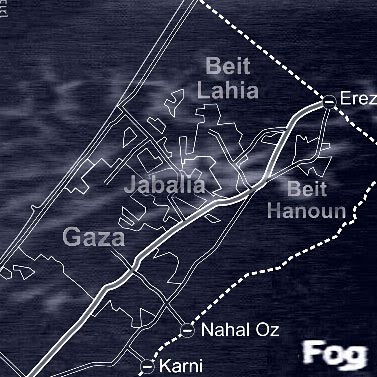 Lloyd George and Berthelot finally fell back on "from Dan to Beersheba," as described in an atlas written by Adam Smith, a Scottish theological professor, where ancient Samaria only brushes against the Litani, and has a boundary on the west coast more southern even than the Sykes-Picot line (Hof 1985, 11). The original settlement was probably Eilat at the northern tip of the Gulf of Aqaba. Glueck found walls from the Kingdom of Israel...Eilat is mentioned in antiquity as a major trading partner with Elim, Thebes' Red Sea Port...Eilat is first mentioned in the Bible in the Book of Exodus in the stations. The first six stations of the Exodus are in Egypt. The 7th is the crossing of the Red Sea and The 9th-13th are in and around Eilat after they have left Egypt and crossed the Red Sea. Station 12 refers to a dozen campsites in and around Timna in Modern Israel near Eilat. When King David conquered Edom, which up to then had been a common border of Edom and Midian, he took over Eilat, the border city shared by them as well. The commercial port city and copper based industrial center were maintained by Egypt until reportedly rebuilt by Solomon at a location known as Ezion-Geber (I Kings 9:26). In 2 Kings 14:21-22: "And all the people of Judah took Azariah, who was sixteen years old, and made him king in the room of his father Amaziah. He built Elath, and restored it to Judah, after that the king slept among his fathers." And again in 2 Kings 16:6: "At that time Rezin king of Aram recovered Elath to Aram, and drove the Jews from Elath; and the Edomites came to Elath, and dwelt there, unto this day". 2. On page 237 we learn that Holmes and Russell on in a...kivutz. 3. On page 242, our heroes are reading the Jerusalem Post. That paper was only founded in 1932 and was named the Palestine Post until 1950. On page 285, The Palestine News is mentioned. I'm trying to track that down if it is fictional or not. Jerome David Salinger was born in Manhattan on New Year’s Day, 1919, the second of two children. His sister, Doris, who died in 2001, was for many years a buyer in the dress department at Bloomingdale’s. Like the Glasses, the Salinger children were the product of a mixed marriage. Their father, Sol, was a Jew, the son of a rabbi, but sufficiently assimilated that he made his living importing both cheese and ham. As it is fairly rare to see someone described as a Jew, unless as in a quotation, in the NYT, one wonders why that wasn't written as "Jewish", the more usual term. Despite problems, Shiloh construction project proceeds. If Kevin Bollman is to be believed, tough economic times have had only a minimal effect on plans for the Villages at Wingate. That's an ambitious 172-acre residential and commercial development now partly under construction at Shiloh — not far from Scott Air Force Base. Bollman owns J2K, a major developer of the Villages at Wingate. The project, with an estimated cost of more than $140 million, was announced in the summer of 2007. The developers have plans for 270 houses and villas, 96 apartments for older residents, 75,000 square feet of retail space and 60,000 square feet of office space. "We never stopped going forward with our plans" despite the recession, Bollman said. "And now it's good to see the housing market recovering, at least here." He predicted the development could be built within five years. Many people are interested in the project, said Bollman, who touted it as the first master-planned community that has come to fruition in Metro East. and in the Middle East, in Samaria. A group of about 30 Jews from the Rinat Yisrael congregation in Teaneck, New Jersey, headed by Rabbi Yosef Adler, went up on the Temple Mount this week, guided by Chairman Yehuda Glick of the Temple Mount and Temple Heritage Fund. Glick told Arutz Sheva "The police made every effort to cast a shadow on the visit, including dividing the group into two, such that the second of the two groups had to wait for an hour in the rain and cold until the first group finished." He added that the group was subjected to being photographed by the police. The words of God, "that The work of My hands is drowning in the sea, and you are reciting song? ", have usually been interpreted as meaning even when your enemy falls, do not rejoice or, even in battle, observe the rules of humanity. Rabbi Elazar said: God does not rejoice, but others are permitted to rejoice. This is also shown in the text, for it is written “ken yasis“ and it is not written “ken yasus“. ”yasis” is the hif’il [active-causative] form, “yasus” is the kal [active-simple] form; the difference is that “yasus” could only mean “He (himself) rejoices,” whereas “yasis” can also mean “He causes others to rejoice,” which is the way that Rabbi Elazar understands the text. "the angels wanted to sing as a method of killing the Egyptians just as their voices were to cause the death of Sancheriv's soldiers (II King, 7:6) * but God said, no, it's all my work to be done with no agents, for "the work of my hands" who are in danger of drowning are not the Egyptians but the Israelites (Bnei Yisrael). And the punishment must fit the sin [middah k'neged middah] for just as the Egyptians are attempting to drown the Israelites, they themselves must be drowned and not killed through the vehicle of your song". The reference to the death of Sanheriv's soldiers is somewhere else. 13 The Israelites in the days of Hezekiah. 14 On the occasion of his pursuit of the four kings. (Gen. XIV). 15 V. p. 630, n. 6. 19 Isa. XXXVII, 36, proving that this was the size of the army. 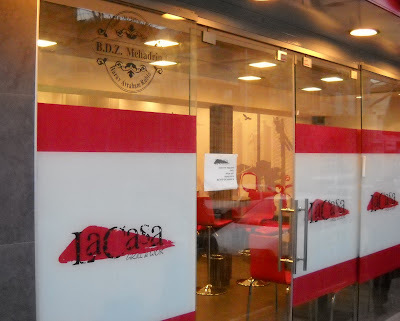 33 Isa. XXXIII, 3. The first half of the verse reads, At the noise of the tumult the people fled. 'Tumult' is taken to refer to the song of the Hayyoth in their 'exaltation' of the Lord. Through his new lawyer, Muzzammil S. "Mo" Hassan claimed Friday [January 23] that he was a "battered spouse" who was left emotionally out of control by the constant abuse his wife inflicted on him. Hassan's lawyer, Frank M. Bogulski, called the legal defense the first of its kind in the country. "The spouse was the dominant figure in this relationship," Bogulski told a reporter afterward. "He was the victim. She was verbally abusive. She had humiliated him." Just one problem with trying to depict him as a "battered spouse": a former Bridges TV news director describes rail-thin Aasiya as "gentle" and insists that she "never ever heard her disparage" Muzzammil, who is over six feet tall and burly, as seen in numerous online pictures — the last of which shows him receiving an award from CAIR. Two comments: First, it is not just the ferocity of the slaying that suggests an honor murder; we now have the defendant characteristically painting himself as the victim while asserting that his dead wife bears responsibility for her own demise. Second, though laughable by Western standards, Hassan's explanation would assure him of little more than a wrist slap in Islamic courts, which are notorious for leniency toward honor killers. Such are the ways of Shari'a law. In the Avrahamis' column on Squad A, Company 3, a wrong explanation was provided regarding the requirement for rubber bands used by soldiers on their uniform. They are not, as written, "to hold up their socks," but rather to facilitate the tucking in of the cuffs of the pants, so as to keep them folded under the bands. It looks nicer that way. Israel flies out a team to Haiti and the next thing you know is that "settlements" are being built. The UN agency estimates that 100,000 family-sized tents are needed to house about 500,000 people, but the UN says up to 1 million require shelter. Meanwhile, work has begun at the sites identified by the Haitian government for the establishment of organised tented settlements. It is estimated that each settlement will accommodate up to 10,000 people. However, tents cannot be set up and displaced people relocated at the sites until they have water and sanitation facilities. Tent settlements can only provide a short-term solution, officials say, particularly with the hurricane season expected to start around June. Its Time Has Come - SarcMark ® The official, easy-to-use punctuation mark to emphasize a sarcastic phrase, sentence or message. Once downloaded to your computer or cell phone, it’s a quick key-stroke or two to insert the ® where you want, when you want, in your communications with the world. Never again be misunderstood! Never again waste a good sarcastic line on someone who doesn’t get it! Stand Up For Sarcasm - It needs a punctuation mark. Let your voice and written word be heard across the country, the continent, and the world. well, a 'pey' with a stress mark (called dagesh in Hebrew) indicating a 'hard' P rather than a soft F sound. And the 'pey' is the first letter of the denigratory "putz". Or was I just being sarcastic? Judaism is not a doctrine but a life—the continuation of the lives of Abraham, Isaac, and Jacob. Or so Abraham Joshua Heschel (1907–1972) often said. To learn Jewish theology, then, is to relive the history of God’s encounter with the Jewish people, for theology and history are inseparable. What God revealed to Israel through the prophets, the sages, and the mystics is the “bold and dangerously paradoxical idea” that God needs man. Much of academic Jewish scholarship finds conflicts between biblical Judaism and the rabbinic Judaism of late antiquity as well as between rabbinic Judaism and later kabbalistic-hasidic teaching. The academic consensus sets up dichotomies between the legal and the spiritual and between the rational and the mystical. Heschel instead integrates biblical, rabbinic, and kabbalistic sources into a unified vision of God’s continuing dialogue with the people of Israel. Indeed, Heschel’s scholarship, rightly understood, is inseparable from his theology, for his scholarship seeks to re-create the dialogue of the Jewish people with God. Obama blamed internal politics both in Israel and the Palestinian territories for constraining peace diplomacy. He cited problems faced by Israeli Prime Minister Benjamin Netanyahu, who the president said "is making some effort to move a little bit further than his coalition wants to go." Netanyahu's right-leaning government includes pro-settler parties strongly opposed to ceding occupied land to the Palestinians for a future state. Saying Israelis and Palestinians both have "legitimate aspirations," Obama sought to reassert his administration's ability to act as an even-handed broker. "Israel is one of our strongest allies," Obama said. "It's critical for us, and I will never waver from ensuring Israel's security." But he quickly insisted, "The plight of the Palestinians is something that we have to pay attention to. It is not good for our security and for Israel's security if you have millions of individuals who feel hopeless." During President Obama's town hall this afternoon in Tampa, Florida, a young woman asked a pointed question about Israel and human rights that stirred up the crowd and prompted a long answer from Obama. Last night in your State of the Union address, you spoke of America's support for human rights. Then, why have we not condemned Israel and Egypt's human rights violations against the occupied Palestinian people and yet we continue to support financially with billions of dollars coming from our tax dollars? That was a neat coup by the pro-Pal. student, or a planted question? 135H Brittany Farms Road, New Britain, Connecticut 06053. I know that antizionists claim not to be antisemites. But their sites attract them nevertheless. "There's nothing magical about the 'success' of jews -- they're simply a highly organized and networked gang of thieves and murderers that have been perfecting their craft for over 2,000 years." A disagreement in the State Attorney's Office in the central district is delaying indictments against those suspected of torching a mosque in the West Bank village of Yasuf last month, Haaretz has learned. The state attorney is to decide on Thursday whether to file charges against the suspects. However, some attorneys in the office believe the evidence is merely circumstantial and insufficient to justify filing charges. The court criticized the police and Shin Bet security service for Shapira's arrest. The state intends to appeal the ruling at the Jerusalem District Court this morning. I pointed my readers to the image of Kreisky's Kinder and here's something else. • The success of Arendt’s earlier work is owed more to the way it locked on to mid-twentieth-century Western guilt over imperialism and the continued strengthening of the Cold War than to The Origins of Totalitarianism. Arendt’s conception of the dynamics of historical change is little more than a confused mishmash of the structural, the social-psychological, and the conspiratorial. • Her works display a deep ignorance of political economy, diplomacy, and military strategy. Furthermore, she had little grasp or even interest in the mechanics of the political process in the states about which she wrote. • Rather than examine hard evidence, she deals in trifles and inflates them into richly colored balloons of generalization. At a time when superior historians were rejecting and becoming disenchanted by the idea of totalitarianism, her work in this area did not explain the generalization. • Her comparisons of Nazism and communism were sporadic and uneven, and she hardly dealt with Italian fascism as predecessor of these test cases of totalitarianism. The concept was incorporated into the vernacular of the 1960s and 1970s only because it served the useful ideological purposes of the Cold Warriors at the time. • The burden of her later work is blaming Jewish victims rather than anti-Semitic perpetrators. In her inversion of victims and victimizers, her bile knew no ethnic boundaries or rationalizations. • There was always a special edge to her criticism of her own Jewish people. She swallowed sometimes in whole cloth the poisonous anti-Semitism hatched in the Weimar period, much of which was shrouded in the Nazi literature of the age. "[Please] allow me to marry four [husbands], or even five or nine, if possible. Let me emulate you [men], and choose them according to the wildest [whims] of my imagination. I will choose [husbands] of various shapes and sizes: one red-headed and one dark, one tall and one short. I will choose [husbands] of various sects, religions, nationalities, and ethnicities, and I promise you to [maintain] perfect harmony between them all. They will never quarrel, because [after all], they have a wife in common. "Write me a civil law, or [re-]interpret some religious law [by] adding to it a new clause, [like they do in] those religious rulings [that are motivated] by a sudden impulse... [and are issued] without any prior warning. Just as you unjustifiably subject me to [various types of marriage] – [such as] mut'a, 'urf, misyaf, misyar and friend marriages and other twisted [inventions] – allow me to marry four [men]. "Many say that polygamy is the solution [to the problem] of men becoming bored and fed up with their wives, [and a way to deal] with [these] feelings of theirs. However, polygamy is a violation of the CEDAW Convention. [Besides,] what about the feelings of the woman? Either permit polygamy to both [men and women], or else re-map [the custom of] marriage so as to solve this problem of boredom, which is the men's permanent excuse. Until [one of these things happens], I will continue to ask: What solution [do I have] if I become bored with my husband's body or [start to] feel that he is [like] a brother to me?" Al-Budair made similar statements in an interview with the liberal website Elaph about a year ago, in which she argued that a woman needs four husbands more than a man needs four wives (www.elaph.com, January 28-29, 2008). These are different types of marriage permitted in Islam. Mut'a ("pleasure") marriage, permitted in Shi'ite Islam, is contracted for a limited period of time, and divorce is not needed to end it; 'urf ("custom") marriage is an arrangement that does not require an official contract and grants the woman no rights; misyaf marriage is practiced among rich men from the Gulf who go on summer vacation in Yemen and marry local girls for a particular period of time – a fortnight to two months – without the brides being aware of the time limitation; misyar is a marriage in which the woman relinquishes some of the rights that Islam grants her, such as the right to a home and to financial support from her husband, and, if he has other wives, the right to an equal share of his time and attention; and in a "friend" marriage, the girl remains at her family's home, and she and the man do not maintain a shared household but meet whenever and wherever they want. The last type of marriage is aimed primarily at meeting the needs of young Muslims in the West, who wish to have a girlfriend-boyfriend relationship as is customary in Western society, but with religious legitimacy. On these types of marriage, see MEMRI Inquiry & Analysis No. 291, "Pleasure Marriages in Sunni and Shi'ite Islam," August 31, 2006, http://www.memri.org/report/en/0/0/0/0/0/0/1784.htm#_edn3. The Convention on the Elimination of All Forms of Discrimination against Women (CEDAW) was adopted by the U.N. General Assembly in 1979 and came into force in September 1981. Al-Masri Al-Yawm (Egypt), December 11, 2009. President of Israel's Supreme Court, Dorit Beinisch, was hit by a show thrown at her in court today. On a Tel Aviv radio program, Baruch Marzel was asked for his reaction. He replied: "what's with the shoe?" His interviewer got angry and said: "that's all the bothers you, the shoe?" And Marzel responded: "she and her fellow justices don't seem to care about me when I and my family and neighbors get stoned and shot at, so why should I worry about what is thrown at her." Abe Foxman, former member of New York Betar, has a large salary as befits his position as titular head of the ADL. The ADL is urging Israel’s chief rabbis, as well as Orthodox rabbis in the US and around the world, to “speak out against this text as a perversion of Judaism, cloaking itself as an authoritative interpretation of Jewish biblical law,” according to a January 26 statement by Abraham H. Foxman, ADL national director. He is referring to the book Torat HaMelech, by Rabbi Yitzhak Shapira. Rabbi Yitzhak Shapira's book is a perversion of Judaism, rejecting the morals and ethics inherent in the Jewish faith for an extremist ideology that encourages the killings of non-Jews. His teachings are anathema not only to the tenets of Judaism but to the humanitarian and democratic principles upon which the state of Israel was founded. It is outrageous that several prominent rabbis have endorsed this book. 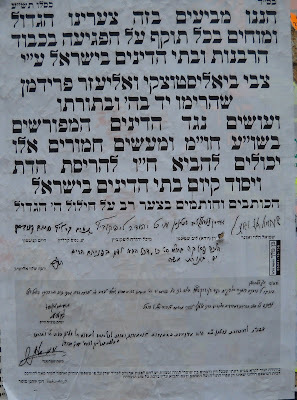 The failure of religious leaders to condemn the distorted views of biblical law advocated in Torat Hamelech may have contributed to an atmosphere in which heinous attacks, such as the attack against the Palestinian mosque in Yasuf, are encouraged and condoned as being supported by biblical commandments. We applaud those rabbinic scholars who have condemned the book and banned it from their schools. We call on the chief rabbis of Israel and rabbinic leaders in the Orthodox community -- in the United States and throughout the world -- to speak out against this text as a perversion of Judaism, cloaking itself as an authoritative interpretation of Jewish biblical law. Foxman may be correct. But I suggest that he himself is totally incapable of reading the book, of understanding it and of being able to argue with it. He, at the least, could have named those Rabbis who did read the book and who understood it and with whom he took advice. Ten settlers were arrested January 18 in a raid on Yitzhar by Israeli security officials. Foxman is engaging in guilt not only by association but based on tenuous facts and acts. For example, besides the elementary principle of "innocent until proven guilty" from which Jews suffered in the lapse, there are less than 10 persons currently incarcerated since they were released already. His liberalism is affected not by truth but what the goyim will say. And if he doesn't like books liable to incite, why doesn't he start with Mein Kampf, sold over Amazon? Concerning the book "Torat haMelech (Laws of the King) - Capital offenses between Israel and the Nations"
1. There are two kinds of books in Jewish law: books published which have been universally accepted by all the scholars of Israel for practical rulings in Jewish law (probably the last one of this type was published in 1965) and study books; Shapira and Elitzur's book "Torat haMelech" is a study book. Even a partial review of the material shows it contains a study of mostly medieval material and the opinion of the researchers, and does not attempt to survey modern halachic authorities on the subject. 2. The book is one of about 30,000 study works published by thousands of researchers in our time. This book is one of the studies, and like the rest, it does not obligate anyone. 3. It is not meant to be a ruling in Jewish Law, but rather a summary of some of material written on the subject. Even the endorsements of rabbis who gave their endorsement were praising the efforts to study, not suggesting to use this book in the application of practical Jewish Law. 4. The book is not sold in stores, and obviously it is not meant for the general public unfamiliar with the material, and can only be obtained by direct request to the authors. The authors are not known as halachic masters or decisors in Jewish Law. 5. In the culture and nation of Israel, there is complete academic freedom. Anyone can write and self publish his studies. For the mass media to intercept and falsely portray this book is akin to intercepting someone's doctoral thesis and falsely portraying it in the uninformed popular press. 6. If not for the newspaper Haaretz, which published a story on the book, the religious community probably would not have heard of it. 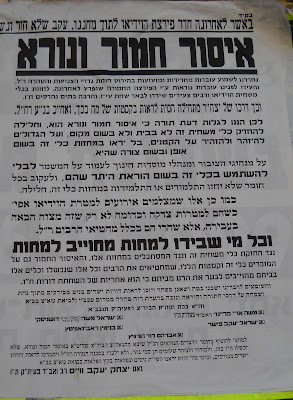 The newspaper published its contents in a partial and perverted manner, as part of its tendency of the newspaper and its owners and members of its system to slander the rabbis of the settlements, residents of the settlements, all of mitzvah observant Judaism, and all the principles of Judaism. They are prepared, as part of their war on the religion of Israel, to slander, by means of partial quotes, their Jewish brethren, in spite of them knowing, as journalists, that they were quoted amidst further falsification, and in a manner which causes anti-Semitism, and hatred of Israel, and even though they are endangering the peace of all the Jews in the Diaspora. 7. At the time of this writing, there are about 35,000 websites quoting the misinformation that Haaretz (and other anti-religious Israeli papers) published, and therefore we see the need to publish this notification. 8. 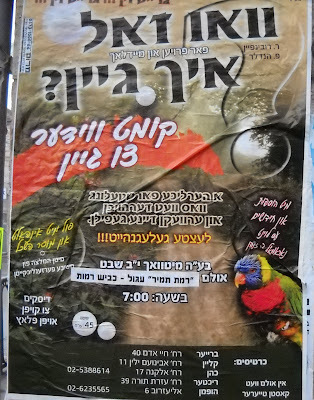 Despite the massive war of propaganda by Israel's enemies against the Jewish people -- which make use of Israeli secularists' and atheists' attacks on Judaism -- the truth is that Judaism is the religion which brought to the world the prohibition against killing children, by our holy Torah; never has a Jew been instructed by religious law to kill innocents, or to commit suicide in order to kill others, (unlike suicide bombers who target families with their children). 9. In spite of all the lies published by the anti-Israeli press, apparently starting from Haaretz and including the hostile European and Arab press, there is no army which strived so much to refrain from harming citizens who are not participating in fighting, as the IDF does, not just in Operation Cast Lead, but since its founding. 10. Therefore, we admonish and condemn in every way the Israeli and worldwide press, printed and electronic, that on the basis of the story in Haaretz (and other anti-religious Israeli papers) published attacks on Israel, on Jews, and on Judaism itself. 11. We have forwarded this message directly to Haaretz. Perhaps they will learn that even in hatred of religion there must be some limit. 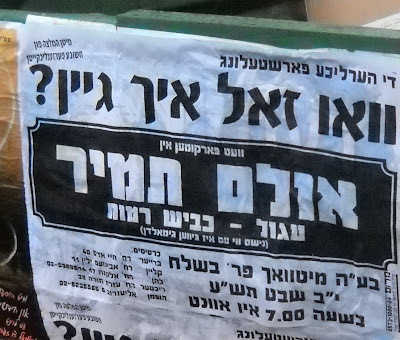 Israeli TV has just announced that the judge ordered Rav Shapira by released, noting that the police have not the least slim bit of evidence that would justify extending his remand but the police appealed and so he'll be in jail one more night. I doubt a priest or immam would have been chained about his ankles and wrists, as was Rav Shapira when brought into court. Speakers include the Prime Minister and other members of the Israeli government, the Mayor of Jerusalem, Professor Bernard Lewis, senior U.S. generals (including a survivor of the Kovno concentration camp), leading analysts and journalists, members of the U.S. Congress, economists, rabbinical leaders, IDF officers, and many more. • Communicating Israel's Message - Does Anyone Give a Tweet? And a special program "Honoring Israel's Heroes - An Expression of the Gratitude of a People"
The Jerusalem Conference provides a unique forum for the discussion of Israel's national priorities, social values, and aspirations, as well as the challenges and external threats faced by Israel and the West. Every year the Jerusalem Conference hosts key figures, opinion-molders and policy-makers from Israel and around the world -- all leaders in the political, economic, academic, media, communal, security, military, and rabbinic spheres. It was donated by the late Dr. Baruch Horowitz and is as official a version of the Palestine Mandate as you can get. So, when did "Palestine" and the Arabs get together? And when and from where did Abdallah arrive and how did he become the ruler of what became Jordan? It is all a matter of history - not propaganda. ...Mr. Obama's first year in office amounts to a long parade of rebuffs. His inaugural address famously offered the world's dictators an outstretched hand in exchange for an unclenched fist. From North Korea, he got missile and nuclear tests. From Iran, he got a contemptuous rejection of his extraordinary offer to enrich uranium for it. From Cuba, Fidel Castro said last month that "the empire's real intentions are obvious, this time beneath the kindly smile and African-American face of Barack Obama." From Venezuela, Hugo Chávez is now comparing Mr. Obama to the devil, a shtick he first tried out on George W. Bush back when liberals thought it was kind of funny. Of course these are America's enemies, so we probably should not have expected better even if Mr. Obama seemed to believe we might. What about our (ostensible) non-enemies? The president pre-emptively conceded the Czech and Polish missile-defense bases to Russia in hopes of getting Moscow to take a tougher line on Tehran's nuclear programs. The Kremlin isn't biting. Neither is China, never mind Mr. Obama's gratuitous snub last year of the Dalai Lama. As for the Muslim world that Mr. Obama has been at such pains to court (the Cairo and Ankara speeches, his opposition to Gitmo and the war in Iraq, etc. ), the 2009 Pew Global Survey that measures opinions about the U.S. finds as follows: Turkey, 14% favorable views of the U.S.; Palestinian territories, 15%; Pakistan, 16%; Jordan, 25%; Egypt, 27%. Granted, this is up slightly from the last year of the Bush administration, but only by a couple of percentage points on average. So that's the great Obama perception dividend? Now the same question is being asked in the U.S. in the wake of Scott Brown's Senate victory in Massachusetts. The president from Oprah Nation, says Newsweek, suffers from an "inspiration gap"; the prevailing wisdom is that he's too cool and detached for his own political good. Are they kidding? Should the president now take squealing lessons from Howard Dean? By the way, is syndromatic a real word? Syndromatic treatment refers to the practice of treating people for sexually transmitted diseases based on their symptoms. It is usually done in low-resource settings where the cost of testing is prohibitive or where it is difficult to get people to come back for test results. Or was that Hip-Hop gone Islamic fashion? ...Wright's account of the rise of monotheism among the Jews represents the most impressive part of his book. The process was extraordinarily complex. As expected, Wright stresses that the evolution of Yahweh responded to tangled political, military, and economic conditions: these included Jewish relations with the Canaanites (Baal-worshipers), innumerable military adventures and misadventures, exile, and the differing political fates of northern and southern Greater Israel. Also, the evolution of monotheism, "like so much else in the history of religion," was gradual. Indeed the process was so protracted that traces of polytheism remain in the Hebrew Bible, e.g., in Exodus, and especially in Psalms ("There is none like you among the gods, O LORD"). The Hebrew Bible also reveals the later transformation of Yahweh from a thunderous, almost corporeal being into a more abstract and transcendent one, the "still small voice." Wright also devotes two chapters to the Jewish philosopher Philo of Alexandria, who wrote in the first century CE. Philo offered a syncretic theology that attempted to blend Hebrew tradition and Greek philosophy, faith and reason. Such reconciliation required eschewing a literal reading of scripture and embracing an allegorical one, which Philo did happily. In Philo's theology, the Logos—reason, order, or the Word—is conceived in the mind of God and then uttered into the physical universe. The unfolding of the Logos introduces, among other things, a directionality into history, a theme that looms large for Wright. What Did Arafat and Barak Accept? 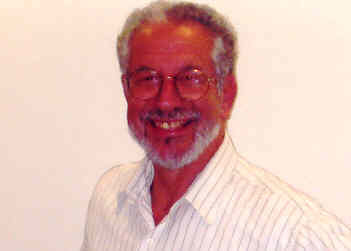 David Bromwich is an astute observer of the Israeli–Palestinian conflict. But in his review of Taylor Branch's The Clinton Tapes [NYR, November 5, 2009], while expressing skepticism about Branch's (or Clinton's) "exaggeration," he writes—in summarizing Branch's account—that Clinton's December 2000 proposals for a two-state peace settlement were "accepted by Israel, rejected by Arafat." • The Palestinians would get 94–96 percent of the West Bank. However, what would remain in Israel's possession included the best agricultural land and the most important aquifers. • Jerusalem would be divided, with the Palestinians gaining sovereignty over the Arab sections of East Jerusalem, especially the Temple Mount mosques; the Israelis would have sovereignty over all the Jewish areas of Jerusalem, including Judaism's main religious sites. • There would be no "right of return" to Israel for Palestinian refugees from the 1948 conflict. Instead, they would be offered economic compensation and a right to return to the new state of Palestine or to be resettled elsewhere. In fact, neither Yasser Arafat nor Ehud Barak of Israel definitively accepted or rejected these proposals. True, Barak wrote to Clinton "accepting" his plan—although with a long list of concerns and reservations. It is also true that Arafat's initial written response to Clinton was generally negative, especially in his continued insistence on the right of return to Israel. Conversely, Barak's true bottom line shortly became clear, for he actually hardened the Israeli position by refusing to accept Palestinian/Muslim sovereignty over any part of Jerusalem, including the crucially important mosques. Had Barak agreed to Clinton's Jerusalem compromise, the overall evidence, from Beilin's account and other sources, strongly suggests that Arafat would have found a way to reciprocate in practice if not in principle. In short, Arafat was more flexible and Barak more rigid than suggested in the Branch-Clinton book. Indeed, Barak later boasted —not without reason—that he had given "not a thing" to Arafat. In the final analysis, then, the true obstacle to the implementation of the Clinton proposals, and all other similar two-state plans, was—and remains—Israel, not the Palestinians, even under Arafat. I am grateful for Jerome Slater's thoughts on the Clinton Plan. To the extent that Arafat has emerged in the popular mind as an "inflexible" negotiator and Barak as his opposite, I agree the picture is false. To the extent that Bill Clinton, in later years, has helped to advance that idea, he has spoken irresponsibly. Arafat was indeed inflexible on many points, but Barak was not so courageous or consistent as is widely supposed. His subsequent airing of the slander that "Israel has no partner for peace" has played a fateful part in discrediting the very idea of negotiation. When I wrote that the Clinton Plan was "accepted by Israel, rejected by Arafat," I should have made it clear that I was reporting Clinton's own retrospective view, as conveyed to Taylor Branch. But there is other testimony to support that view. In The Path to Geneva, Yossi Beilin (a reliable source, according to Slater) recalls that Clinton "was prepared to interpret Arafat's reply as 'Yes, but.'" But this was only at their final meeting on January 2, 2001. On the preceding page of his memoir, Beilin remarks of the approval of the Clinton Plan announced by the Barak government on December 29: "Israel was prepared to accept the proposal within the time limit Clinton had set for it. 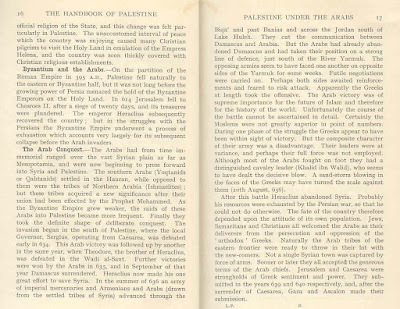 But the Palestinians were not" (p. 223). Clinton's words to Branch would seem to refer to the disappointment of December and not the partial recovery of January. The motives and some portion of the hidden acts of politicians—as of other people—tend to grow clearer in the light of their larger patterns of action. The death of Arafat in 2004 narrowed the evidence on which we can draw in guessing his intentions; yet it seems likely that extreme caution was dictated, on his side, by the threat to his leadership posed by the second intifada; while Barak's susceptibility to a resolution of the question of Palestine opposed to the Clinton Plan was evident as soon as he joined the national unity government of Ariel Sharon in 2001. As for Clinton, I suspect, as I said in the review, that the charges of anti-Semitism leveled against Hillary Clinton during her Senate race in 2000 may have affected the mood in which he approached the negotiations a few months later. [*]See Yossi Beilin, The Path to Geneva: The Quest for a Permanent Agreement, 1996–2004 (RDV, 2004), p. 224.